Explosive population growth in New Delhi led to increasing rates of vehicle ownership in the capital, intensifying traffic congestion and air pollution caused by emissions. To counter these effects, the Delhi and national governments created the Delhi Metro Rail Corporation (DMRC) to construct and operate a metro system. OC Global was the lead consultant of the consortium appointed by DMRC. The master plan of a metro network of eight lines was drawn up and, in September 1996, the government of India approved Phase 1 of the project for construction of the priority rail corridor, which opened in 2002. OC Global helped enhance the detailed project reports and reviewed all designs and tender documents, assisting in the evaluation of the tenders. While managing all contract packages, we supervised and monitored all contractors, design consultants, system suppliers, and manufacturers. We also helped to mitigate social and environmental impacts, while ensuring safety at all worksites. Among other services, we verified testing and commissioning of trial operations for the entire system, then planned operations and maintenance, providing training and technology transfers to DMRC personnel. Phase 1 of the project consisted of constructing three corridors of heavy rail for an urban transport system to accommodate 2.2 million commuters per day, resulting in 2,400 fewer buses on the roads and a 50% reduction in the pollution level. 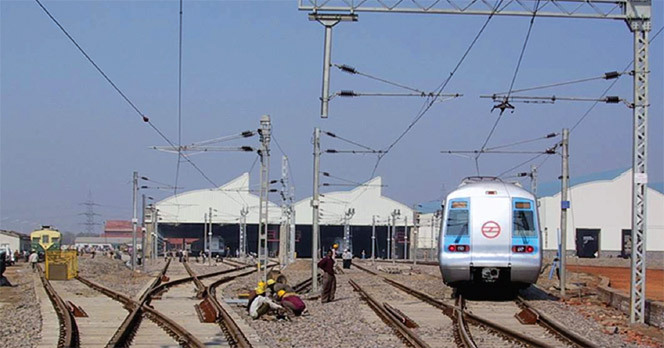 In Phase 2, six new lines, including three extensions of existing lines, from the city center to outer Delhi were constructed, connecting the urban areas and the suburbs. Today, land prices around the metro lines show remarkable growth and property investment by developers is significant, taking advantage of great accessibility. Delhi Metro is a stunning example of successful development and often called a symbol of the India-Japan partnership.